You’ve come away on holiday to relax, right? Lounging by the pool and soaking up the sun is a good start, but for that extra special touch, the Asounfou Spa has a range of skincare and body treatments for both men and women. Treatments are charged additionally – for a full list please contact us. Deep cleanse, purify and soften the skin with this treatment based on the weekly Moroccan cleansing ritual. Black soap is applied to cleanse the skin followed by an exfoliation of the whole body with a mitt. Whilst the mask is applied to the body your hair will be shampooed and conditioned and scalp massaged. The end result is rejuvenated, awakened skin and your mind and body will be totally relaxed. To achieve the best result and maximum relaxation follow your Hammam with a full body Moroccan massage. This luxurious facial uses the regenerative properties of the Moroccan Damask Rose to nourish, soften and hydrate. Incorporating the use of Thermo-therapy, the alternating temperatures of hot basalt and cool marble stones massaged over the body allow the release of stress and tension from deep within the muscle. This treatment is complimented with the use of locally produced Verveine oil. “Geo thermal” effect. This will help to reduce inflammation, scar tissue and will flush out any toxins in the body. Begin with an Aromatherapy Associates Rose hydrator body treatment followed by the Essential Rose Facial. 2 hours of pure bliss! We’ve partnered with Pack for a Purpose a charity that allows hotels around the world to support local projects by suggesting lists of donations that guests may wish to bring in their suitcase and make a priceless impact on the lives of the local children and families. 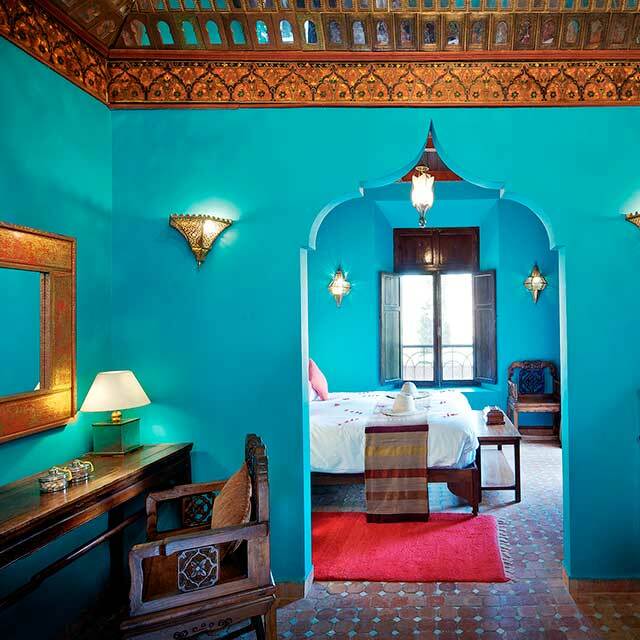 If you’re planning a trip to Kasbah Tamadot, you can get involved in the following projects. Click here to see what you can bring to help the community. There are plenty of activities to keep you entertained, anything from mule trekking to cooking lessons to playing tennis. We have two floodlit Astroturf tennis courts and it’s one of Richard Branson’s favourite activities when he visits. Racquets and balls supplied. If you’re looking to keep fit while you’re visiting, our air conditioned gym is equipped with the latest equipment. Feeling competitive? Have a hit on our Ping Pong table located in the gardens next to the infinity pool. Relax and rejuninate with an hour-long yoga class, available every Tuesday and Friday at 11am. 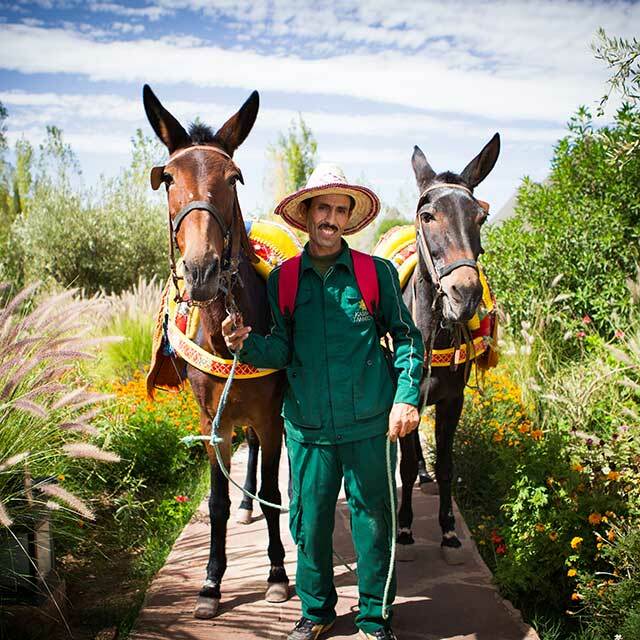 Discover the surroundings of the High Atlas Mountains in a uniquely traditional way with one of our resident mules. Mules demonstrate a different combination of physical and psychological traits from their horse and donkey parents, and can be identified by their large donkey ears and long horse tail. Contrary to popular belief, mules are not stubborn. They’re very intelligent, patient and loyal to their owners. Passing the eucalyptus and olive groves you will make a gentle ascent into a nearby village with its traditional Berber homes. A great way to experience the local culture. 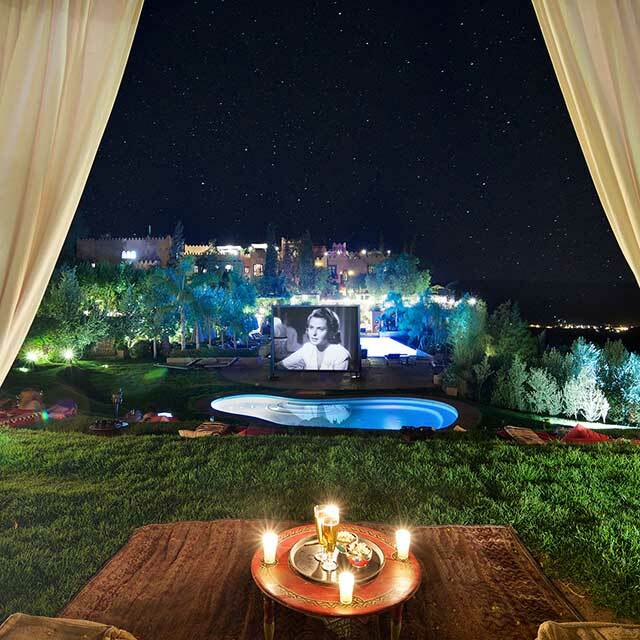 Embark on a climb up the mountain opposite Kasbah Tamadot. Discover the stunning surrounding countryside and be prepared to be blown away by the panoramic views from the top. Enjoy the breath-taking views of the High Atlas combined with a visit to a traditional Berber house for tea. A true cultural experience. The opportunities are fantastic and a definite must do activity! We have listed some of the most scenic and spectacular treks in the surrounding areas. 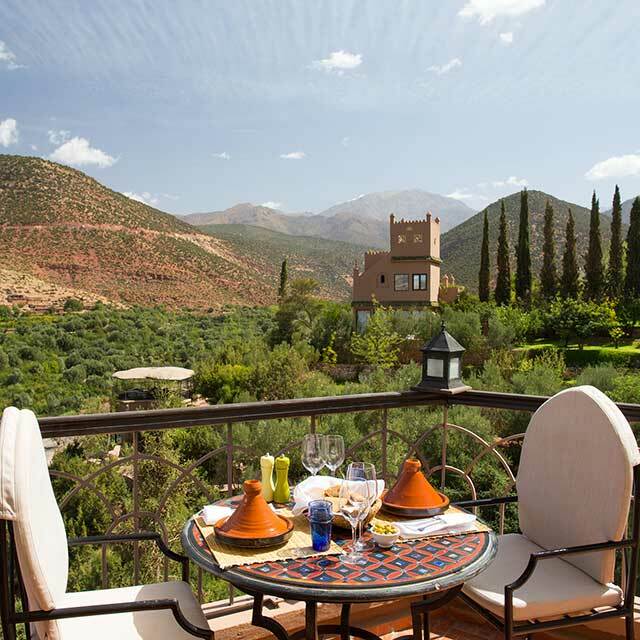 There are some fabulous walks from Kasbah Tamadot which can be tailor-made to suit your needs. Whether you would like to venture down to the river, walk through the village of Asni or go into the hills behind Kasbah we can suggest something which is as long or as short as you like. We do recommend a guide for all of our walks, which can be booked before your arrival or once you are here. The trek is a gradual climb through a forest of junipers and oaks to the peak of Asloun (1750m) for panoramic views of the Atlas Mountains and the Asni valley. The trek continues to the pass of Tamgounssi (1500m). Hands-on interactive sessions will be led by our chefs where they will walk you step-by-step through how to make some of our more popular dishes. Sessions take place in the afternoon and last approximately three hours. Each budding chef will have their own cooking station where you'll create a delicious 3-course meal including salads, soup, tagines and dessert. For small groups (a recommended maximum of 5 guests) we conduct cookery lessons in the Cookery School on the Rooftop Terrace. We use traditional Moroccan Kanouns, which are miniature wood-burning stoves that operate similar to a BBQ and are heated by firewood. Going to Marrakech for the day or heading back to the airport but fancy seeing a bit more of the country on the way? This is a great way to take in the unique and spectacular scenery of the Kik Plateau without committing to a full or half day out. Book the car 45 minutes earlier than planned and your driver will take you through Moulay Brahim, over the Kik plateau (the views of the mountains are genuinely some of the best you can get), past Takerkoust Reservoir and bring you into Marrakech through a more westerly route. Head towards Marrakech for twenty minutes before taking the Oukaïmeden route that winds its way high above the Tamadant Valley. The scenery is impressive and passes ancient and isolated mountain villages. From this route you will enjoy amazing views of the High Atlas including North Africa’s highest peak, Mount Toubkal. After lunch wind your way down the Ourika Valley, which is characterised by its beautiful scenery of fruit trees, little wooden bridges spanning the river to old houses and the magnificent backdrop of the Atlas Mountains. Please be aware that in heavy rain or snow the off-road track will be impassable and an alternative route will have to be followed. Please note the cost of lunch is not included with this tour. Take an off-road drive to view the beautiful Takerkoust Reservoir and the Kik Plateau. 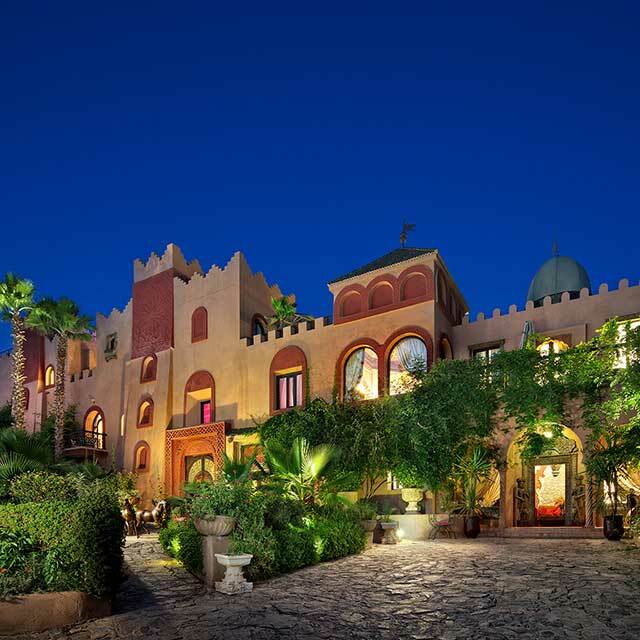 You will return to Kasbah Tamadot through the village of Moulay Brahim which is a local pilgrimage town for Moroccan Muslims where people come to make prayers for health, fertility, love and happiness. The 12th century Tin Mal Mosque is one of only two Mosques in Morocco that is open to non-Muslims. The Mosque has stunning architecture with genuine features abounding in rich history. From the Mosque you will return to the village of Ouirgane where you may stop for mint tea and visit a Berber family. The 12th century Tin Mal Mosque is one of only two in Morocco that is open to non-Muslims. The Mosque has stunning architecture with genuine features abounding in rich history. After visiting the Mosque you will be driven along the Tiz n’Test Pass (2100m), an ancient link between the Berber cities of Taroudant and Marrakech with stunning views to the South. You will pass through ancient Berber villages, orchards and stunning scenery making this excursion a fabulous day out. You can choose to visit one of the local cafés on route for lunch or we can provide a picnic lunch. Please note the cost of lunch is not included with this tour. village in North Africa– Armed (2000m). An excellent traditional Berber lunch is served on the highest roof terrace of the village with stunning views down the mountain. This trip can be combined with a walking trip. Please be aware that there are sections of road with steep drops on the side.